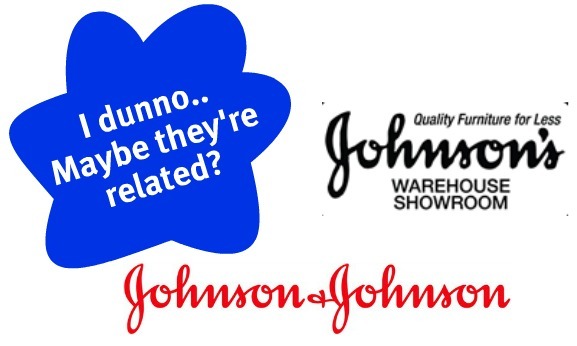 Let's not dwell on the fact that Johnson's Warehouse Showroom, Inc., with six locations in Arkansas, has a logo that appears to encroach on the Johnson&Johnson brand - unless they're in that line of business too, of course. I'm kinda leery though..
One thing is clear, JWS does have super-duper lawyers, cracker jacks at social media. A refrigerator unfortunately fell on a guy named Zack while on the job in the warehouse in 2009. The company processed his claim and he received medical and temporary total disability benefits for a small inguinal hernia, which required repair, and a back injury. If you read the entire court decision document your left testicle will hurt too - even if you don't have one. This guy went through quite an ordeal and went as far as to request that his be extirpated. Ouch. He was eventually released from medical care, though he repeatedly denied his conditions were relieved and sought continued medical treatment and temporary total-disability benefitsfor his herniaand back injuries and attorney fees. Zack's new pain management doc noted his drug screen came back positive for THC and declined his request and then wrote him a letter saying he wouldn't treat him any longer... After three additional CT scans showed noanomalies related to the hernia, his primary care doc wrote a letter saying he needed to be sent to a urologist and general surgeon to determine why he was still having such pain. But theadministrative law judge found that there was no medical evidence or lay testimony tosupport a traumatic work-related back injury and that further medical treatment wasunreasonable and unnecessary for his hernia - she denied anddismissed Zach's claim. He appealed, arguingthat substantial evidence did not support the decision that he was notentitled to additional medical treatment and additional temporary-total disability. To further complicate matters, the cracker jacks came in with the goods -Zack's pics out drinking with his buds were all over MySpace and Facebook, yet he was asking for continued total disability. Zack was outraged and claimed the picswere "a disgrace to the dignity of the workers compensation proceedings andthe legal system and had nothing to do with his medical treatment. Much to Zack's chagrin, the court did not find abuse of discretion in the allowance of the photographs. Though he pleaded he was in excruciating pain, the photos showed him drinking andpartying like he was alright. Although Zack didn't like it much, the pics called his credibility into question and that could not have helped the legal system's determination was that he is not entitled to further additional medicalor additional temporary total-disability benefits. Did Zack screw himself by not understanding or monitoring his online reputation?My opinion is.. Combined with the double whammy of positive THC results, you betcha. On second thought, total disability compensation? Surely if this guy can transport to a bar and engage in social activity he could work as a showroom greeter on light duty. Maybe I am just mean or jaded by the amount of abuse I have personally seen. 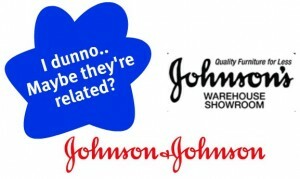 I think that logo is IDENTICAL except for theapostrophe. And Zach was milking it. The accident sound nasty but drinking pics killing his free ride is pure karma. Erin – Not sure how they are getting away with that font on the word, are we the only ones to ‘get it’? Oh that Zach!